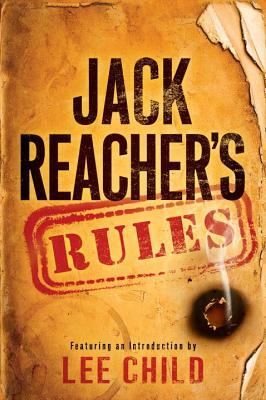 Jack Reacher’s Rules is the perfect gift for any Jack Reacher fan. Lee Child has compiled an entire book filled with Reacher’s rules to live by, quotes from the books detailing his rules, and other fun Reacherisms. A few of our favorite rules are: “If in doubt, drink coffee”, “Don’t fight fair”, “Always carry a toothbrush”, just to name a few. Child also included a list of what you will never hear Reacher say, such as “Call me on my cell”, or “My knees are trembling and my hands are shaking”. This book is just an enjoyable and at times laugh out loud funny dip into Reacher’s world. I think Mo Willems is one of the best writers for kids. The stories are so fun and always have a helpful learning moment. 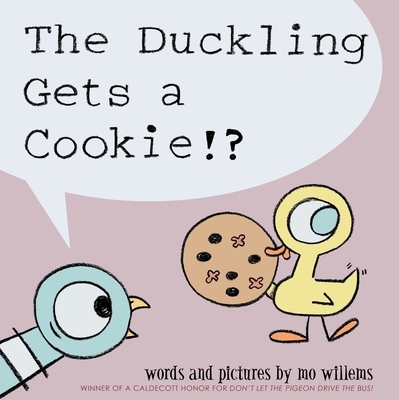 In the newest story featuring Duckling, The Duckling Gets a Cookie, pigeon wants the cookie that duckling has. He continues to say, “I WANT A COOKIE”, and duckling keeps answering, “I just asked and said please.” As pigeon gets more frustrated and demanding, it just gets funnier. The illustrations are fabulous and even though it teaches a lesson, kids will love reading it again and again. 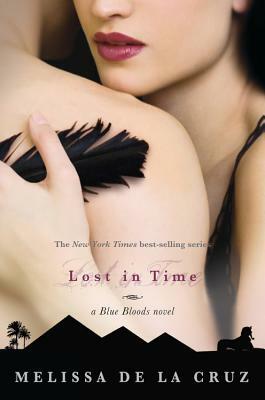 Lost in Time by Melissa de la Cruz is the sixth book in the Blue Bloods series. This book is filled with excitement as we travel with Mimi and Oliver into the Underworld and continue searching for the lost gate with Jack and Schuyler. Both journeys take them to unexpected places and force them to decide what their priorities are. The book also focuses on Allegra in the late 1980’s before she has forsaken her bond with Charles. It was great to finally get more of their back-story and learn what when wrong between the two. I still love de la Cruz’s vampire mythology. Having the vampires be fallen angels has made this series so unique and fun to read; de la Cruz has truly created a series with layers upon layers. The characters really seem to be growing up and becoming more compassionate and responsible, especially Mimi who has really come into herself in books 5 and 6. She was once so shallow and now she has an entire coven to run and perhaps even love in her heart. I can’t wait for the final conclusion in book 7 (Gates of Paradise) next month (January 15th). It is sure to be fantastic. Castle is one of my favorite TV shows and I love that the main character Richard Castle is a mystery author. 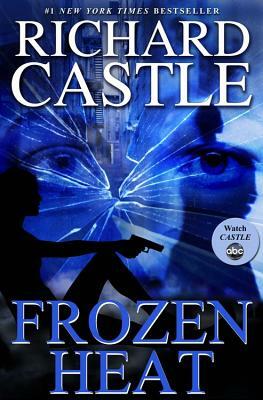 So needless to say, I get really excited every September when a new Richard Castle novel comes out, and this year’s was Frozen Heat. Just to clear up any confusion, no Richard Castle is not an actual person but a fictional character from the TV series that the ABC studio uses as a pen name. The books are written as if the fictional Richard Castle wrote them, so the stories are similar to the TV show. In Frozen Heat, Nikki and Jameson’s relationship takes an interesting turn when her murdered mother’s college friend is murdered and there is a connection between the two crimes. One of my favorite things about reading and watching the show is to see the progression of the TV relationships and the book relationships. As a bookstore owner, I have also been intrigued with how the TV show builds hype for the book. It has also been interesting to see how Castle’s mind interprets his relationship with Detective Kate Beckett as you read the book. Although, it does get a bit crazy if you read the book and watch the TV series at the same time – the book reads exactly like an episode. Castle’s books continue to be witty and funny as well as suspenseful. This is a must have for any Castle fan. 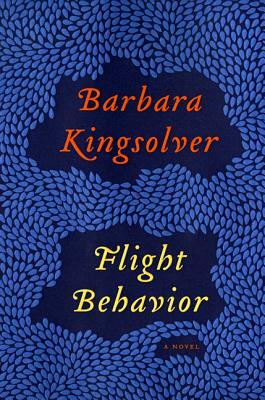 Barbara Kingsolver’s newest novel Flight Behavior was a wonderful and compelling novel about migrating butterflies. Dellarobia has decided to accept that she has an unsatisfying life on a failing farm. It seems her only joy comes from her flirtation with a younger man. As she heads out for their secret tryst in the mountain she stumbles across what appears to be a large forest fire. This discovery soon brings journalist, scientists, religious leaders, opportunists and your average sightseers to her small community. Kingsolver did such an amazing job with her writing and characters. I was instantly swept away to rural Tennessee and immersed in the life of her characters. She did such a fantastic job of creating her character’s life that I was unable to stop reading while simultaneously not wanting the book to end. Kingsovler brings up many topics that we can relate to in our world today. Things like climate change, recycling, education, and our buying habits. However she does this in such a manner that you don’t feel like you are being lecture to, it really is just a part of the story. I have been an avid Kingsolver reader and I think that this is my favorite book of hers. It was just so memorable and leaves you saying “Wow”. 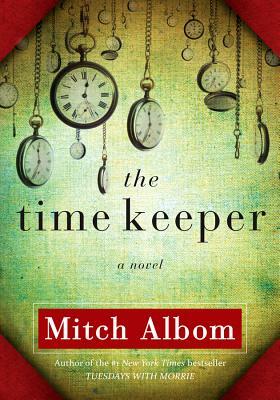 The Time Keeper by Mitch Albom is an inspiring story about learning to let go of the daily trivial stress and instead focus on the present moment. The story begins with the creation of the first clock and the inventor being banished to a cave and forced to listen to the voices of the world desiring more time. After countless centuries the inventor is released, but with a condition. He must save two individuals from the curse of time and teach them to live in the moment. As always Albom captures his readers with his unique writing style that carries you along till the very end. His description of time and how it effects our daily life was a bit of an eye opener. I finished the book thinking, I need to be more in the present and not worry about work. The story was good, even if a bit heavy on the message that it was portraying.